This photo was taken from the KellyMitchell office in Chicago. Where else would you find a neon green chair? The 26th floor at Quaker Tower is bustling with KM recruiters. In fact, we are growing so rapidly we have recently added eight new work spaces to make room for the ten new recruiters we’ve hired in the last three months. The IT job market in Chicago is healthier than Miranda Kerr and stronger than Ryan Reynolds. 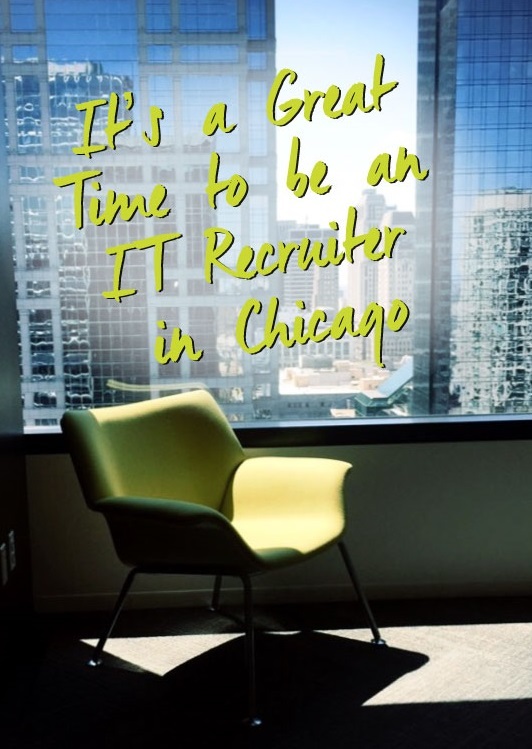 According to Staffing Industry Analysts Daily News, there’s only one other market alongside Chicago experiencing more IT (and finance and accounting) job openings then they know what to do with. But who wants to live in South Florida? “Human resources professionals and hiring managers in the greater Chicago and south Florida markets project demand for accounting, finance and information technology professionals will remain strong in the second quarter […] Businesses report a spike in open accounting, finance and IT positions, while their hiring plans remain shifted toward IT. Further, the recent gains were mainly for multiple positions, with significant increases in the number of companies reporting 10 or more open positions,” according to the article. The happy problem is there aren’t enough people in Chicago (has that ever been said?) to match the great candidates with the amazing opportunities coming open every day. Luckily for us, that’s our jam and we are really, really good at finding the right recruiters to handle the job. 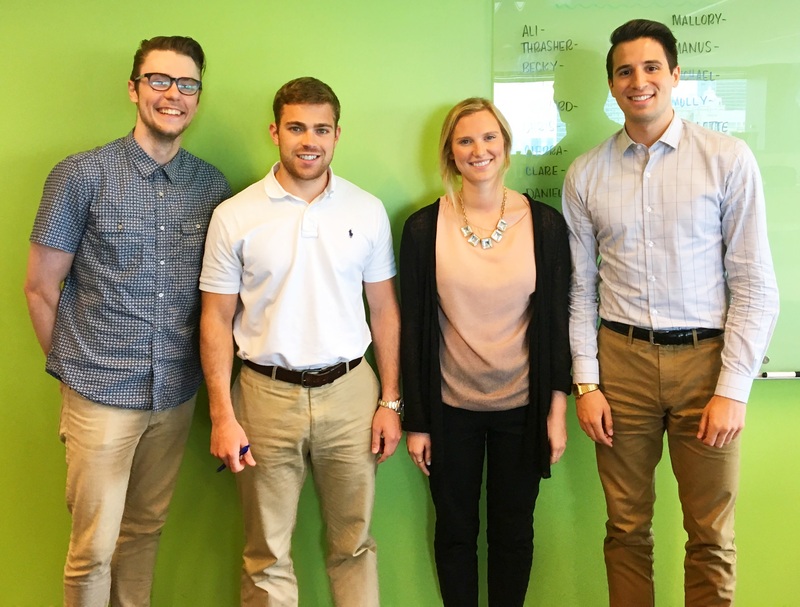 Without further ado, we’d like to welcome our four newest recruiting rock-stars to Suite 2625. We promise they aren’t recruiter stock photo models… although they probably should be. [insert chin scratching emoji].